With the gracious permission of Her Majesty The Queen, the 2015 Concours of Elegance will be held at the Royal Palace of Holyroodhouse in Edinburgh, Scotland, from 4th to 6th September, with an exclusive driving tour of Scotland for Concours participants due to run ahead of the Scottish event from 2nd to 3rd September. Watch highlights from some of the Concours of Elegance events over the past few years in this video. 60 of the rarest cars from around the world, many never seen before in the UK, will grace the spectacular grounds of Edinburgh’s Palace of Holyroodhouse. These 60 cars will be joined by displays of hundreds of other fine motor cars from the most prestigious automobile manufacturers and car clubs in the UK, with the latter competing for the highly prized Club Trophy with a special selection of Jaguars competing for the Jaguar Trophy. The annual Concours of Elegance differs from a traditional concours event in that if a car has been invited to participate in the Concours event, then it is already a winner. 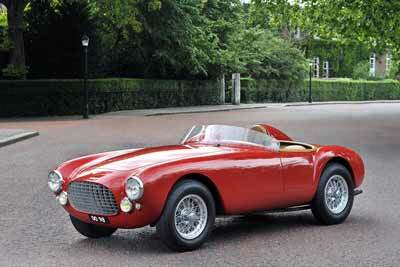 Each vehicle owner gets the chance to vote on the other Concours car that he or she considers to be the most elegant. Immediately ahead of the 2015 Concours of Elegance (2nd -3rd September 2015) an exclusive driving tour of Scotland will be offered to entrants, culminating at the Palace of Holyroodhouse, including a drive along the world-renowned Royal Mile. The 2015 Concours of Elegance at the Palace of Holyroodhouse will be open to the public on Saturday 5th September and Sunday 6th September, with entry tickets and hospitality available to purchase strictly in advance. 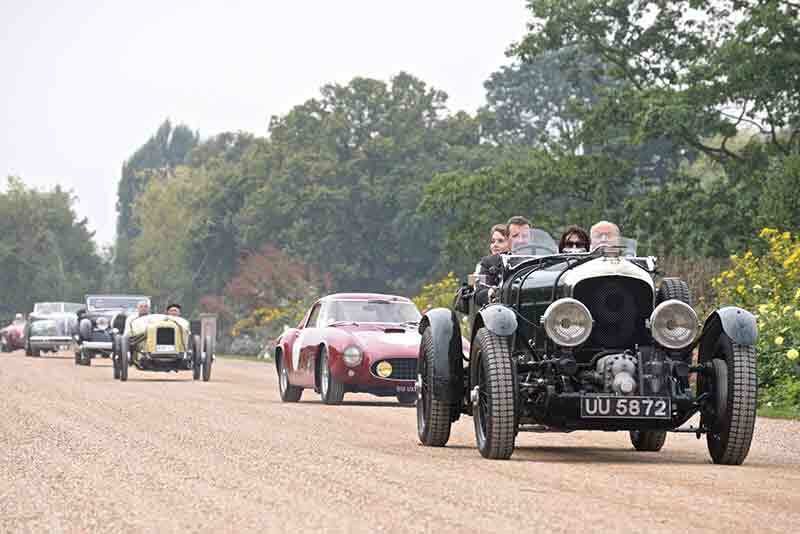 Concours of Elegance has confirmed the world-beating line-up of cars, including an original 1912 Rolls-Royce Silver Ghost London to Edinburgh car. This car is one of six Rolls-Royce cars in the main Concours event. This particular model was inspired by the Silver Ghost’s famous return journey from London to Edinburgh in top gear. 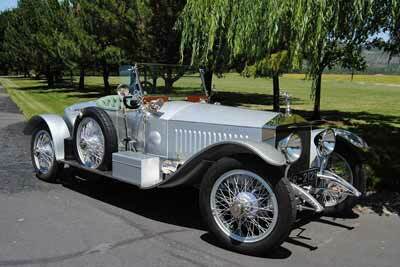 During the trip, the Silver Ghost covered around 1600 miles using only its top gear, carrying four passengers and luggage and achieving 24.3mpg. 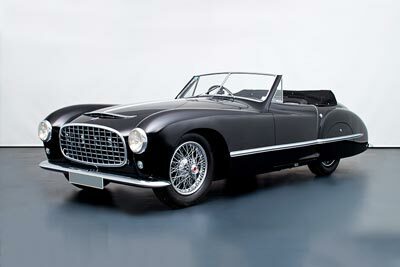 This 1949 Talbot Lago T26 Grand Sport is a one-off from by coachbuilders, Franay. The company only produced bodywork for three T26 Grand Sports, with the remaining two being coupés. Each uses a chassis developed from a Le Mans-winning racing car and a 190bhp 4.5-litre six-cylinder engine. This stunning pale green Ferrari 250 GTO on show at the Concours is the very car driven by Innes Ireland straight from Maranello to Goodwood for the International Easter Monday race in 1962. 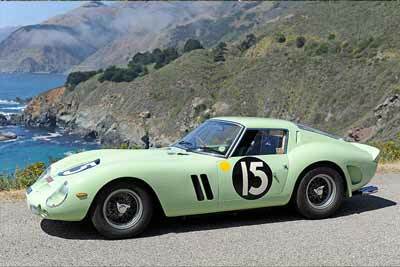 It’s also the same car that won the Tourist Trophy in 1962 and competed at the Le Mans 24 Hour race. Ferrari fans will also be able to see a Ferrari 212 Export Vignale making its worldwide Concours debut after an extensive 14-month restoration. The 1951 car was personally driven by Enzo Ferrari to its first owner in Italy, powered by a race-prepared 2.5-litre V12 engine and boasting a berlinetta body styled by Vignale. Some more recent supercar royalty will also be in attendance, including two Lamborghini super car greats, the Miura S and Countach 5000S, along with an extremely rare BMW M1 and Lancia Stratos HF Stradale. The Touring Superleggera Berlinetta Lusso is the most recent car in the Concours, making its UK debut at the Concours of Elegance 2015 event. Other highlights outside of the main Concours of sixty cars, includes the world’s largest gathering of Ecurie Ecosse cars, including the Le Mans-winning Jaguar D-type and a 1923 Bugatti Type 23 Brescia, one of 200 built and even rarer today with only around 19 known still in existence.